This is the second bathroom that Brian and I have designed and renovated together. 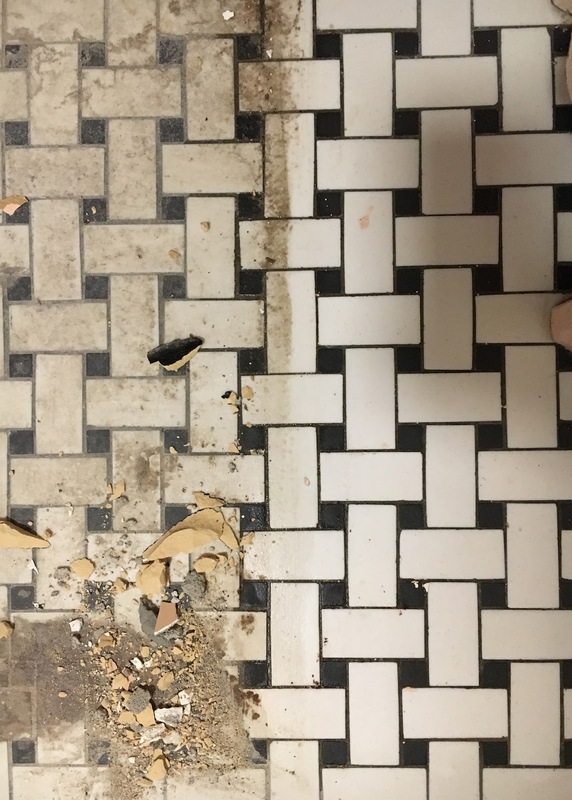 Our inspiration for the space stemmed from the gorgeous basketweave tile floor that was in surprisingly great condition given the age of the home. 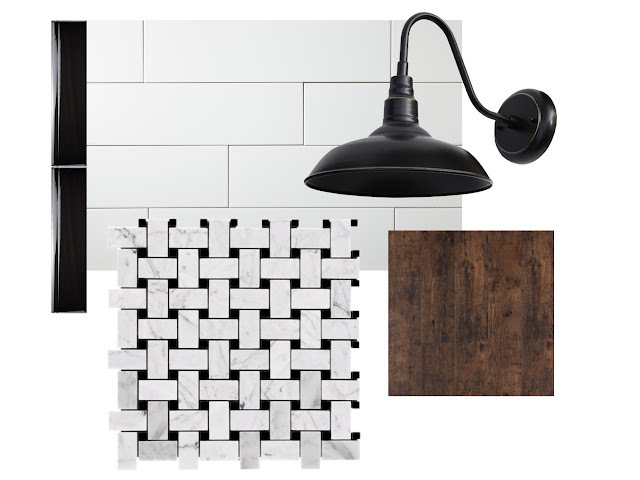 We knew we wanted a fresh space with both modern and vintage touches that would tie in the 1940s era of the home. 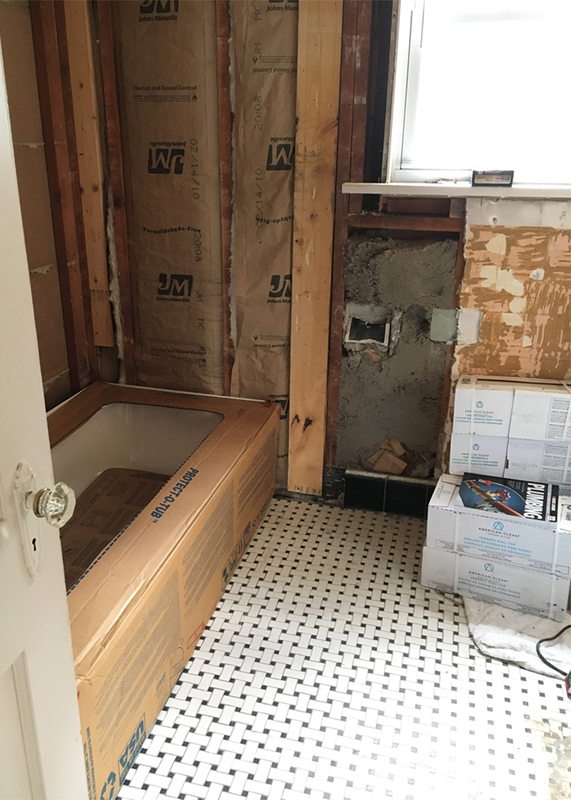 From closing to move-in day we had just over two weeks, so gutting our only full bath right away was definitely a risky decision but once you see these before photos you will know why we decided to be so ambitious!